#50000 #TellITS - Earlier today, itsblog.manhattan.edu surpassed 50,000 pageviews since our first post in 2012. Since then, we have seen a steady increase in the amount of readers of our blog. 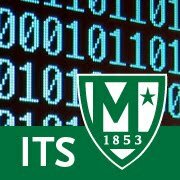 ITSBlog has been a way to communicate important information about technology to the campus community. ITSBlog is also displayed on various JasperNet sites (including the login page for service alerts). We hope that you continue to find the information posted here informative and useful.